Well, here's one way to celebrate Christmas. On Friday, November 9, Deadpool franchise star Ryan Reynolds revealed the first poster for Once Upon a Deadpool, the forthcoming PG-13 cut of Deadpool 2 that will open in a limited theatrical release during the holiday season on December 12. The one-sheet, posted to the actor's Twitter account, features Reynolds in costume as the Merc with a Mouth, sitting on a red-nosed reindeer behind The Princess Bride actor Fred Savage. While Deadpool sports his signature red-and-black suit and has a holiday-appropriate Santa hat placed atop his noggin, Savage is seen in his Princess Bride get-up: a maroon football jersey, striped pajama pants, and fuzzy bear slippers. Deadpool wraps his arms around Savage's chest and hangs his legs off the side of the reindeer, while Savage holds the reins and flashes a wide smile at the camera. 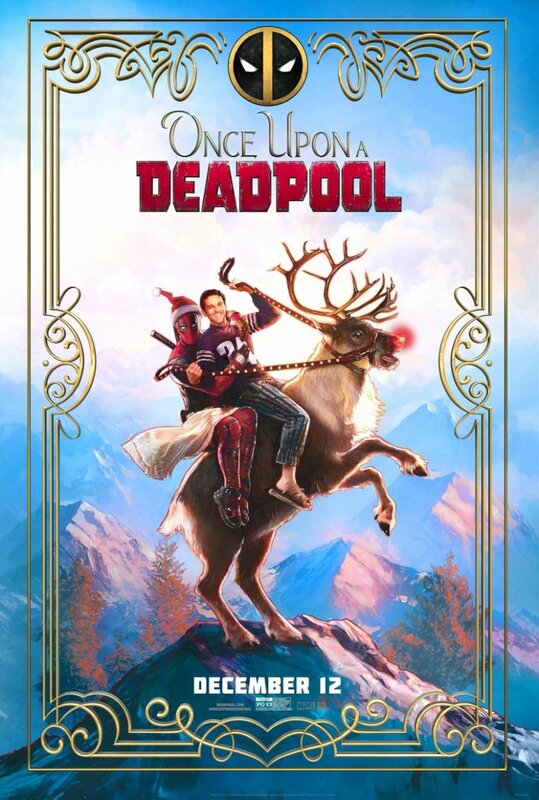 Like most Deadpool 2 promotional material has been, this poster for Once Upon a Deadpool is illustrated, which adds a layer of subversive whimsy to the whole thing. "The only F word in this movie is Fred Aaron Savage," Reynolds captioned the poster, adding the hashtags #OnceUponADeadpool and #AsYouWish, the latter being a nod to the classic 1987 film in which Savage starred as a sick boy whose grandfather reads him the winding tale of Princess Buttercup (Robin Wright) and the love of her life, the dashing farmhand Westley (Cary Elwes). For those who haven't been keeping up with the weird world of Deadpool following the sequel pic's release earlier this year, studio 20th Century Fox is rolling out a family-friendly cut of Deadpool 2 in order to allow the young teens who couldn't see the R-rated film in theaters back in May the opportunity to do so while they are on holiday break from school. Deadpool 2 screenwriter Rhett Reese previously mentioned that the edited version of the film is also meant to calm the frazzled nerves and frustrations of parents whose kids can't get enough of the raunchy, leather-clad anti-hero and his vulgar jokes and love of violence. "We've driven a wedge between parents and their tweens and we hear about it all the time," said Reese (via Deadline). "This [PG-13 revamp] is a way to try to appease those parents." If the film's title, release date, and recently released poster haven't tipped you off that Once Upon a Deadpool (first said to be titled The Deadpool Before Christmas) won't be a standard re-working, let us fill you in. The new take on Deadpool 2 is lighter on violence and language, edited from the original version of the sequel to "meet the PG-13 thresholds" for both — but for what it lacks in gun fights and F-bombs, Once Upon a Deadpool will make up for in a framing story that mirrors the one used in The Princess Bride. This is where Savage comes into play. 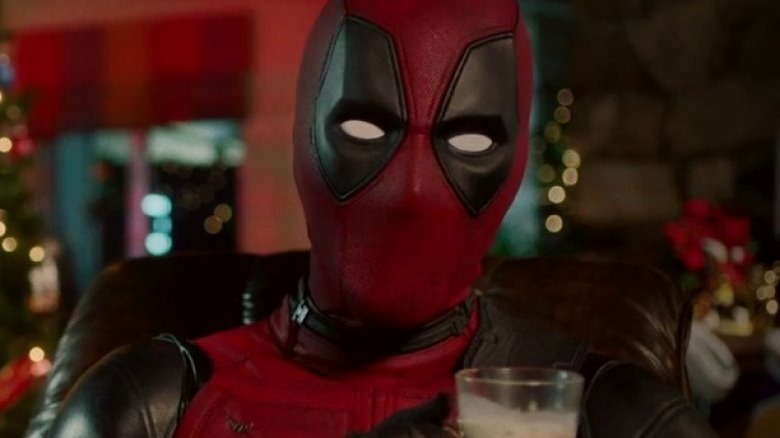 By all accounts, it looks as though he'll reprise his role from the '80s movie in Once Upon a Deadpool, with Reynolds' Merc with a Mouth telling him the story of Deadpool dealing with his fiancee's death, creating his own super-duper group called the X-Force, and forming a bond with the young mutant Russell (Julian Dennison) — while skipping over the gorier, not-safe-for-youngsters stuff, just as the Grandfather did in The Princess Bride. The unveiling of this poster for Once Upon a Deadpool signals the start of the film's promotional campaign — but fans shouldn't expect it to last more than a few weeks. As we noted above, Once Upon a Deadpool is scheduled to open in theaters on December 12, which gives Fox with only a month from the date of this writing to market the movie. The studio might reveal a teaser or two before December, but it's unlikely that Fox will roll out a full-length trailer for the revamped version of Deadpool 2. Still, there's plenty to get excited about in regards to Once Upon a Deadpool. Anyone who missed out on catching the film in cinemas the first time around can experience it before the year is up, and those who have already watched Deadpool 2 will get to see the sequel in a whole new way come December 12. Maybe the toned-down take will even convert those who originally disliked Deadpool 2. That surely would be a Christmas miracle, don't you think? Once Once Upon a Deadpool arrives in theaters, it won't be there for long. The film will end its theatrical run on December 24, just two weeks after its premiere.